Toy town is an amusement park in Khobar filled with activities like adventure games, rides, video games, edutainment activities, hairstyling, kiddie parties, family events, skill challenges for kids and sumptuous dining. 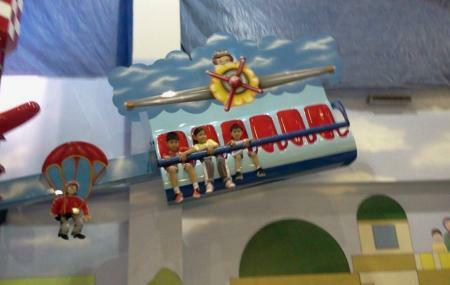 Adventurous rides like The Magical Arch, Carousel, and 7D cinema make sure your kids have a thrilling experience here. The place also features some games which can be shared by adults making it perfect to spend quality time with kids. A dream land for kids, 4D cinema was nice, we watched it for the first time here. The place itself is colourful and the roller coaster was the attraction. My kid won 1000 coupons as he was the big bass winner. We found the bull ride also here, which again was first time seen by us. Its a good place for kids during weekend. Good entertainment of younger kids. My 5 year old kid enjoyed but by 9 year old kid felt bored as rides were too basic for her taste.